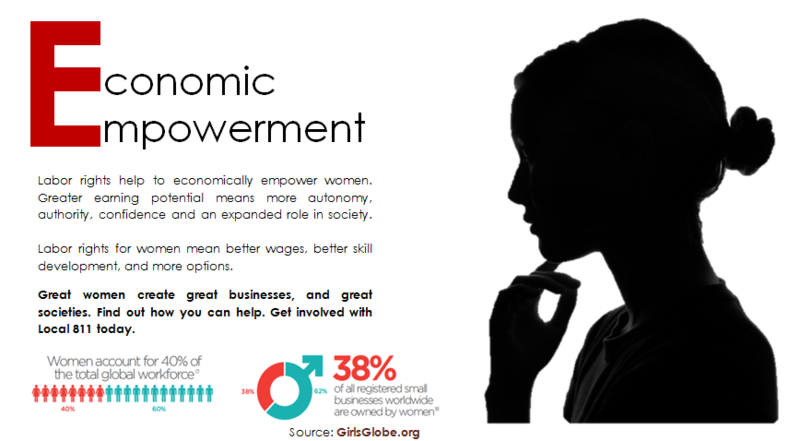 Focusing on issues that affect Women, in the work place and community. 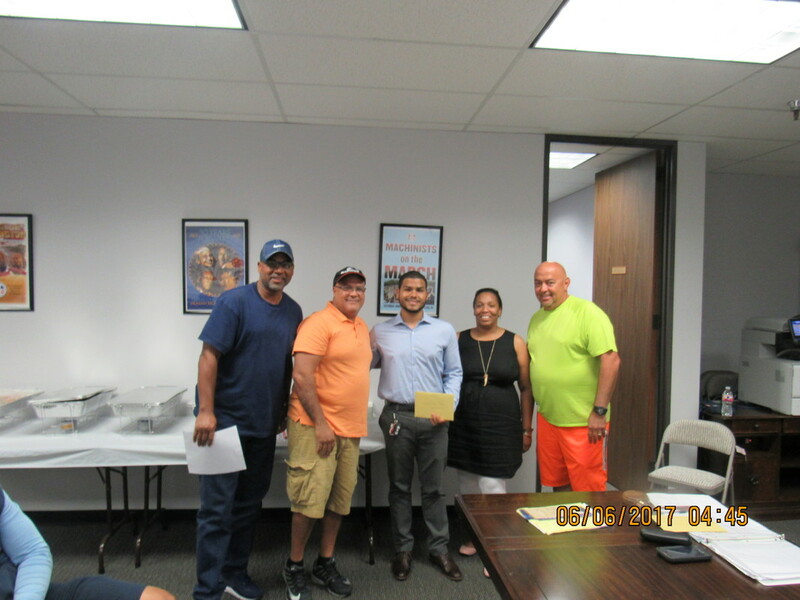 Committee members are Jackie Golphin, Nelson Yanes, Sarah Monderoy, Lal Kesh and Charlotte Lazard and Angela Sheppard. 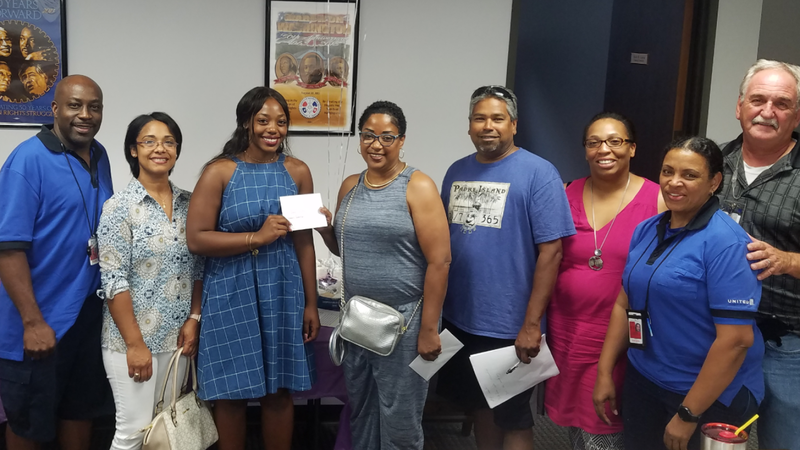 The Women's Committee of Local Lodge 811 thanks all members that donated clothing and shoes for a good cause. 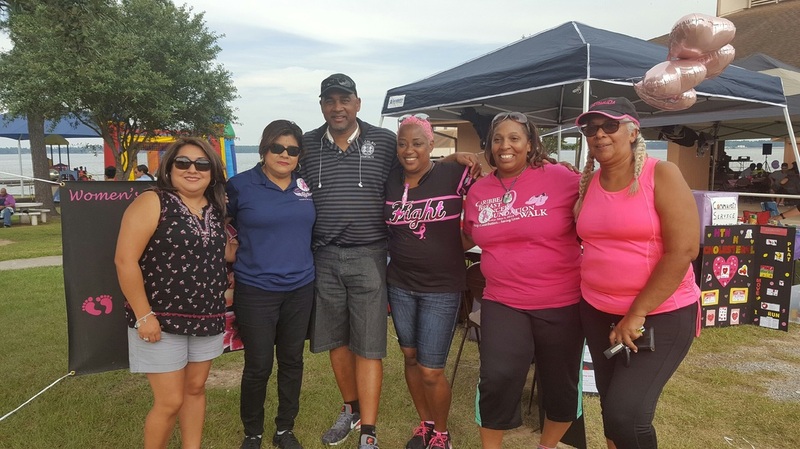 On Saturday April 29th , Members of Local Lodge 811 Women's Committee along with family and friends came out and participated in the Caribbean Breast Cancer Foundation Walk. 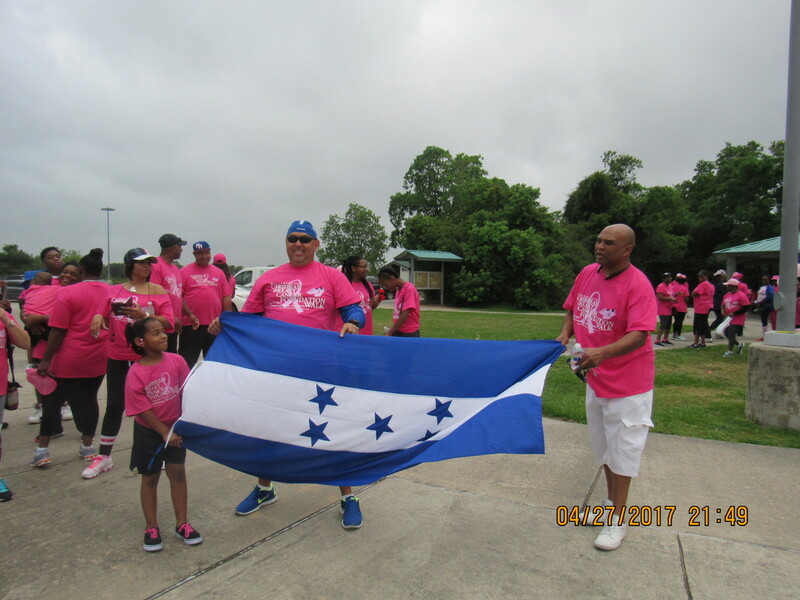 The group walked over 2miles to bring awareness to this deadly disease that affect men and women. Health care nurses were also present to do routine checks such as blood pressure, glucose checks and literature about breast cancer information to walkers. 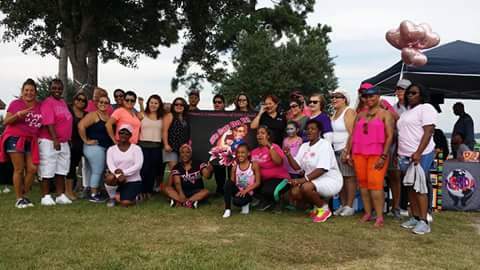 This is the second year the Women's Committee have participated in the community event in Missouri City Texas. 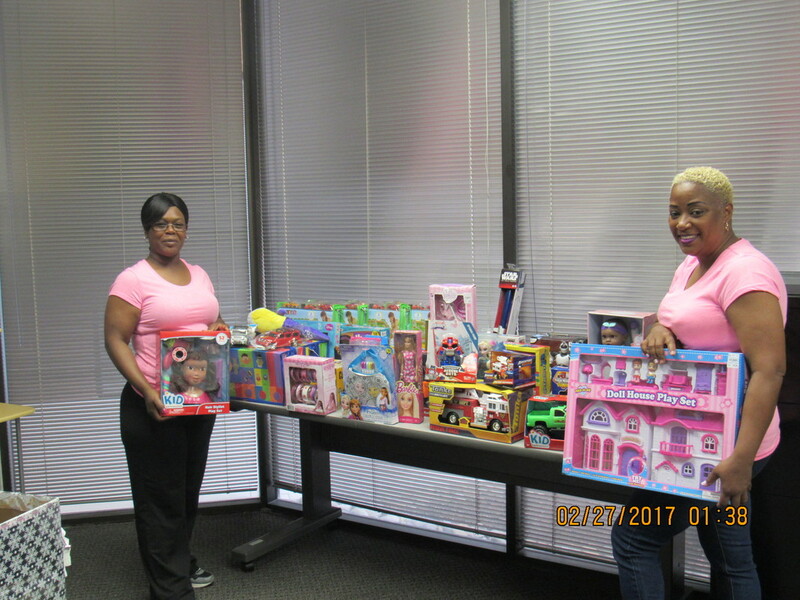 Toys donated at Local Lodge 811 Holiday Gala by Women's Committee this past December, was donated to Texas Children Hospital Houston Texas. This is the 2nd year Women's Committee has held Toy Drive for children battling health issues. 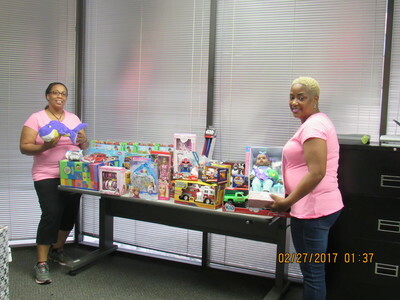 Thanks to all the members who donated. Women's Committee members Sarah Monderoy and Nelson Yanes. 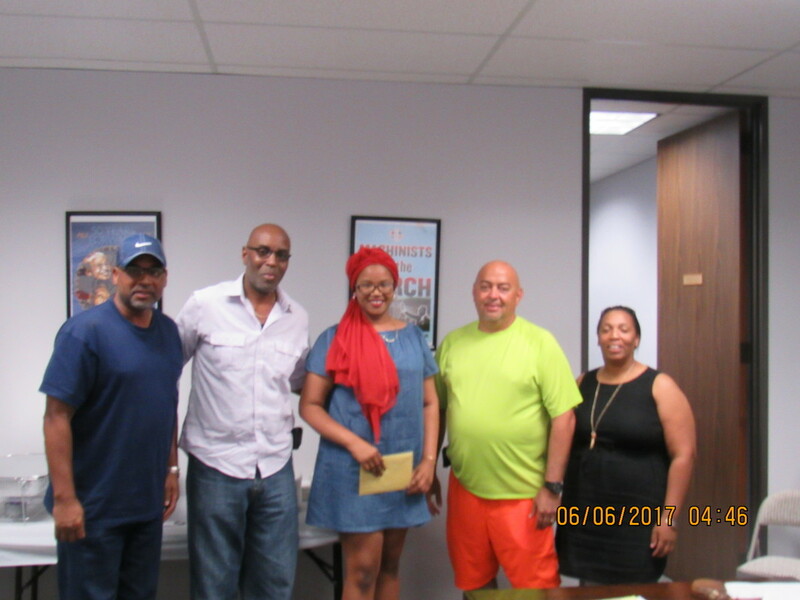 Congratulations to Summyr-Ann Glover daughter of 811 member Freddie Glover, also pictured President Leroy Taylor, Women's Committee members Nelson Yanes and Sarah Monderoy. 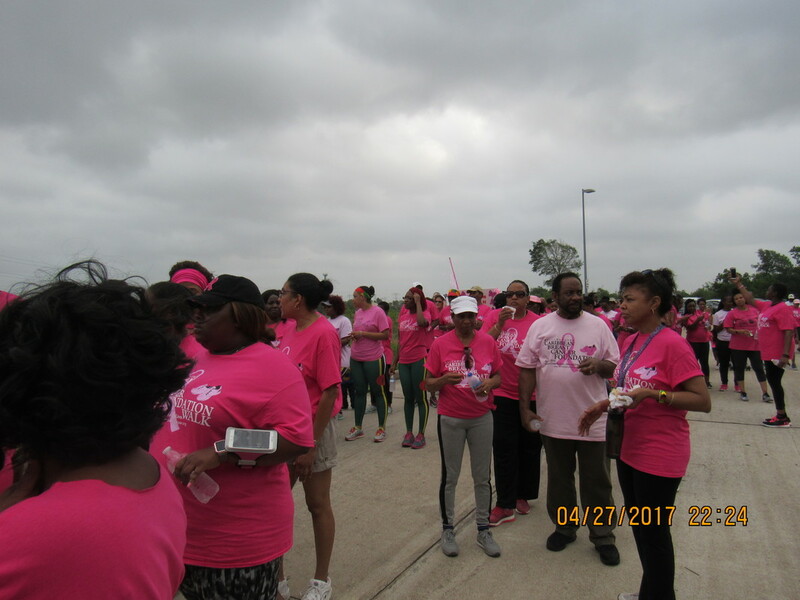 Over 50 walkers consisting of members, coworkers, and family members held pink balloons while walking 2 mile route in memory of those who have battled the deadly disease of Breast Cancer. Some walkers survivors themselves felt the walk was touching and meaningful seeing everyone come together for this cause. 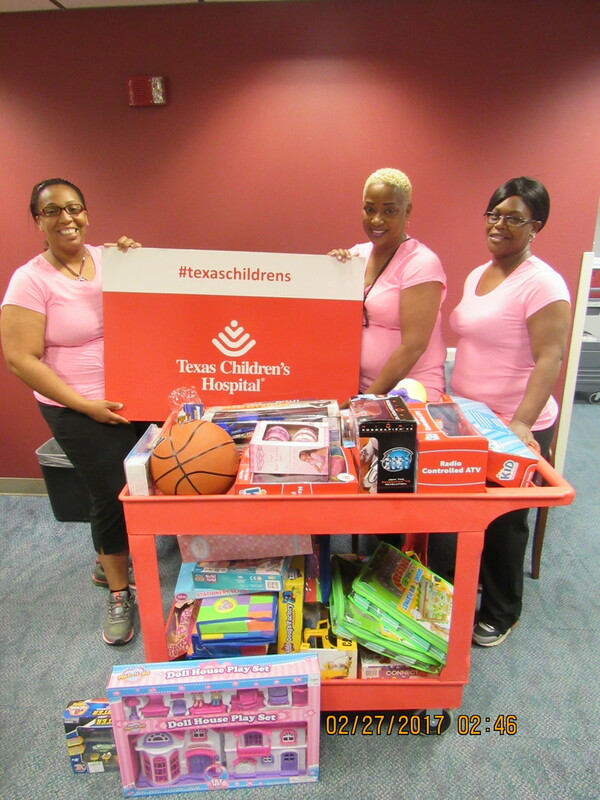 This is the 2nd year women's committee members Jackie Golphin, Angela Jones and Sarah Monderoy have held walk. General Secretary Treasurer Dora Cervantes showed her support by walking with members participating in walk. Local lodge 2198 President Norma Ramirez stopped by booth to see literature with information that was also available or members and their families. 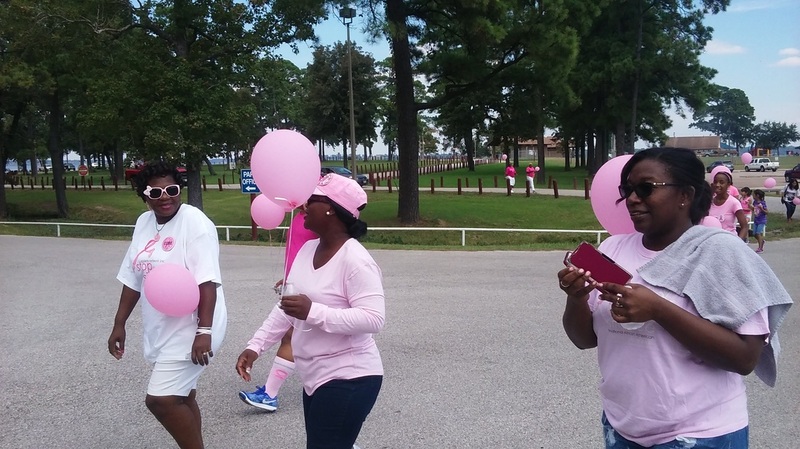 To conclude walk pink balloons were released to honor the memory of those that have passed away by this deadly disease. 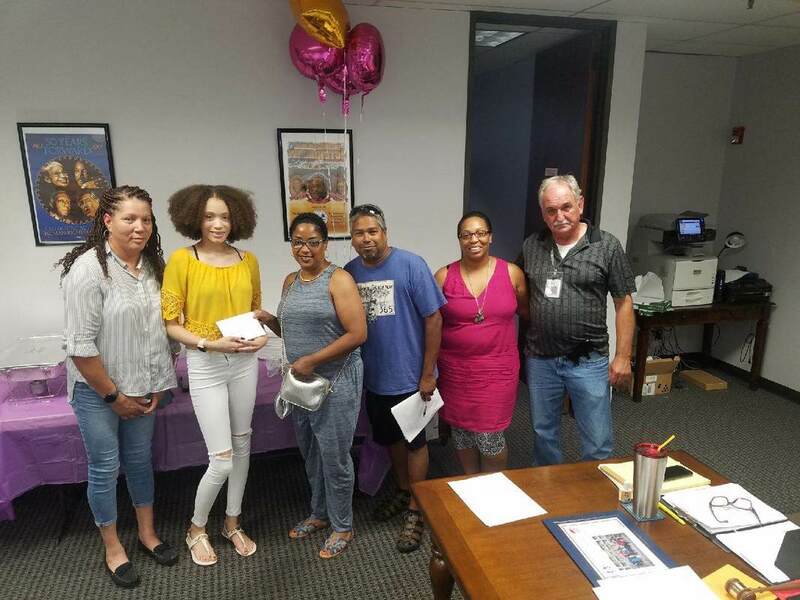 The Women's Committee mission is to raise awareness of important causes and promoting civic activism. Contact Jackie Golphin, Sarah Monderoy or Angela Jones to find out how you can help. This inspiring video explains why running, throwing, and acting "like a girl" is anything but an insult. In honor of the 25th annual Women of the Year Awards, Glamour is taking a look back at some of the most memorable honorees. Watch as 2012 Lifetime Achievement Winner Ruth Bader Ginsburg describes the struggles she faced in her early career, the legal battle for equal rights for women, and her Supreme Court legacy.